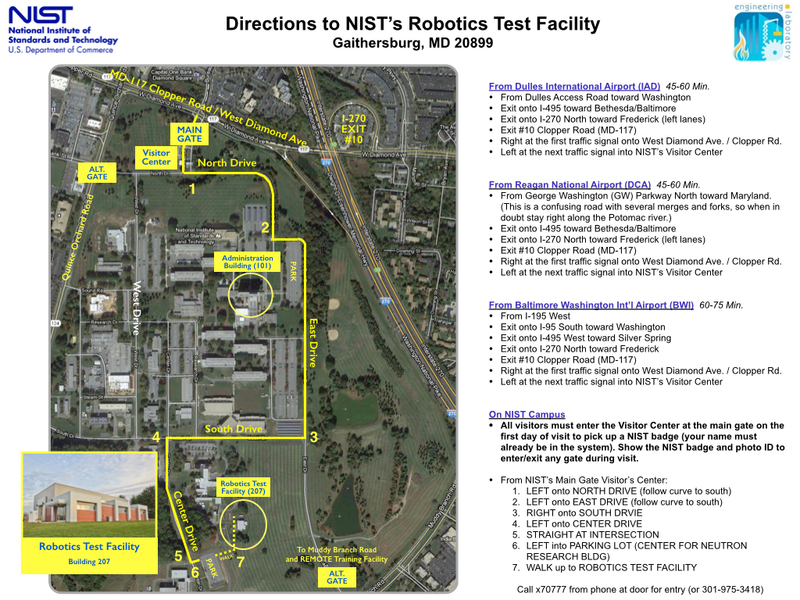 Located on the NIST Gaithersburg campus, the Robotics Test Facility – also known as Building 207 – is a laboratory for developing standard methods of measuring robot performance. 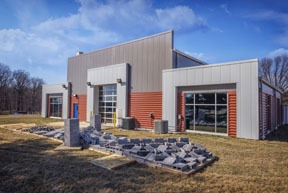 The facility houses artifacts and equipment for measuring how well robots perform under a variety of tasks that abstract real-world challenges. 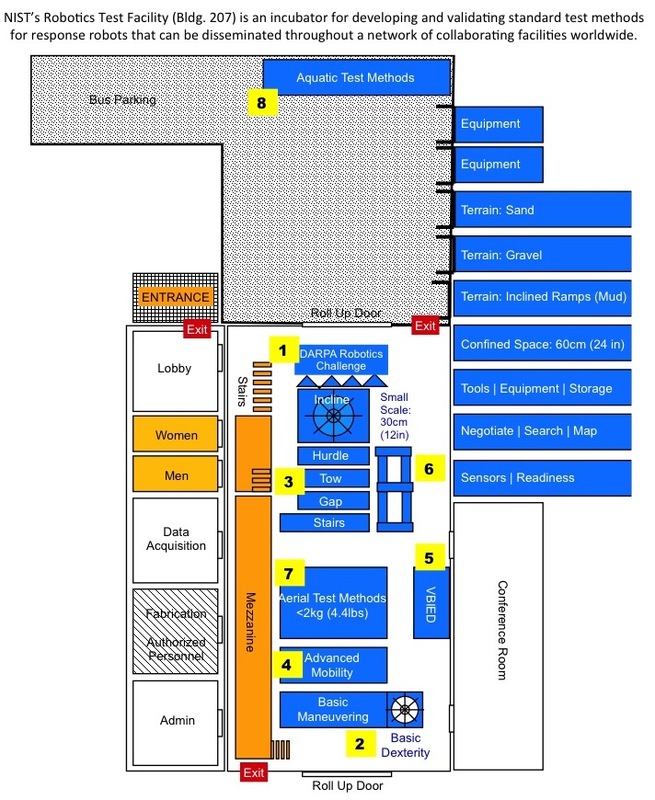 The application domains supported by this facility include urban search and rescue, bomb-disposal, fire fighting, tactical military operations, and manufacturing. We have 50 test methods to evaluate ground, aerial and aquatic systems. NIST researchers use performance requirements articulated by end users as the starting point for the standards development process. Metrics for capturing performance of robots in each requirement area are developed, as are methods for conducting measurements. Apparatuses(some refer to them as "props") are designed to be abstract representations of the environment and task challenges that a particular requirement addresses. 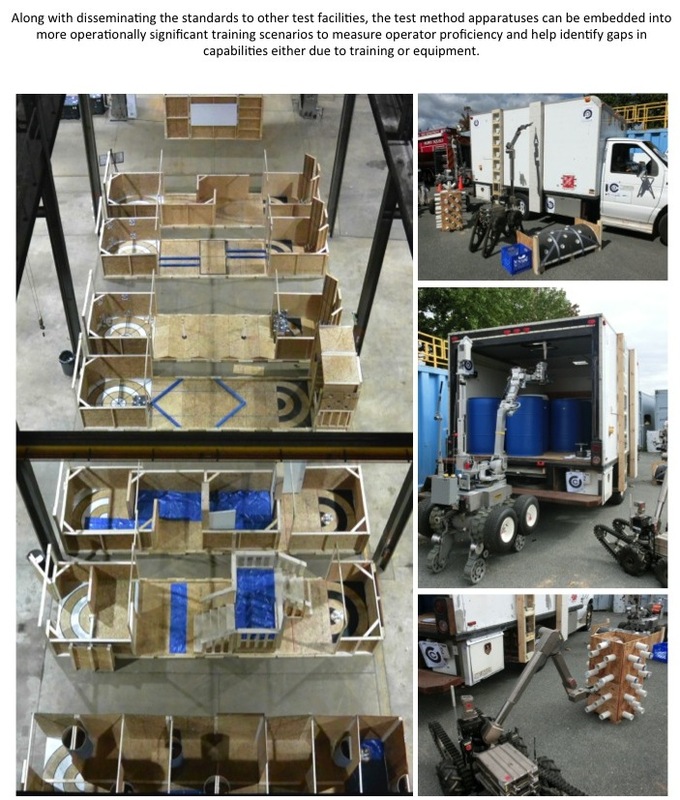 The apparatus construction typically uses commonly-available and inexpensive materials to promote replication by end users for training and robot developers for practicing and advancing capabilities. Alongside the physical artifact design, is a process to define the task(s) that a robot is to perform within the artifact and of what data should be collected. 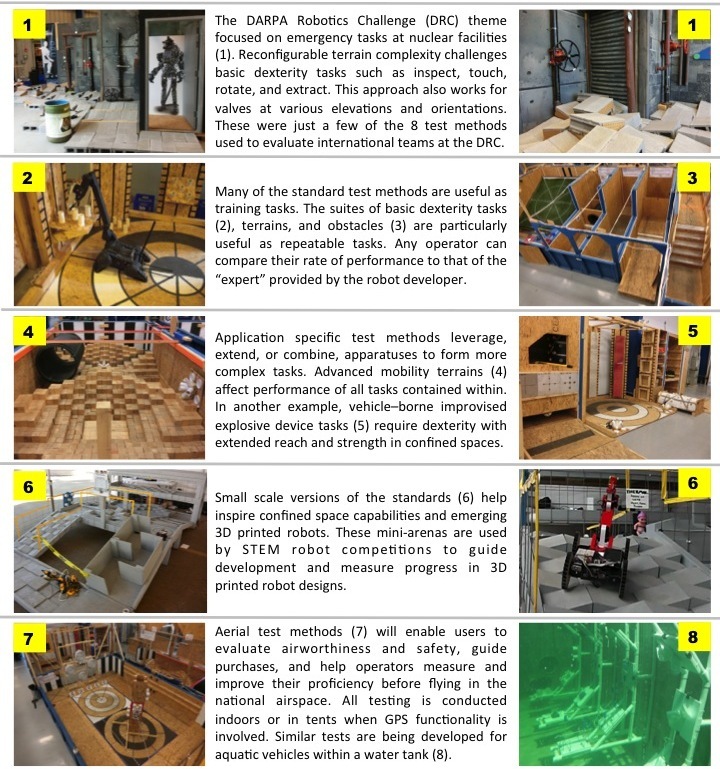 Experiments are conducted by running a wide variety of robots through the prototype test methods to understand how to best capture data and to refine the physical artifacts and methodology. Input from end users and robot developers is crucial at this stage. The data collected, along with designs and methodology, are submitted to the standards balloting process, under ASTM's Committee on Homeland Security Applications; Response Robots (E54.0X).